Let’s say that you’re preparing for an extremely important test that you and roughly 100 other classmates will be taking in a week. A few days before the test, you find out that your instructor will be going on a trip not long after the test is over and will be providing written and verbal feedback to the students within a day of the test. This is unusual, because ordinarily the instructor waits a week or more before providing feedback. About half of the class finds out that they’ll be getting rapid feedback and the other half thinks they won’t receive feedback for several days, per usual. Which group is more likely to perform better on the test? That question was investigated by University of Alberta researchers Keri Kettle and Gerald Haubl in a study published in the journal Psychological Science. The researchers hypothesized that the mere anticipation of proximate feedback would result in better performance on a test. Previous research has shown that when feedback is rapid, the threat of disappointment increases. The desire to avoid the negative feeling of disappointment—the feeling you get when you fall short of expectations—is a potent motivator to perform well. Students were recruited into the study by emails sent 1, 8 or 15 days prior to a nerve-wracking test of their performance: making a public presentation. The students were reminded of their presentation date and also told when they would receive a grade, which would be provided as a percentile score (e.g. 90th, 70th, etc). Then they were asked to predict their performance by selecting a grade rank from out of 10 possible percentile grades. In all, 271 students who ranged in age from 18 to 32 participated in the study. The results were consistent with the hypothesis: participants who anticipated more rapid feedback scored the highest on the test. The surprising part was how significantly different the grades were for each group. 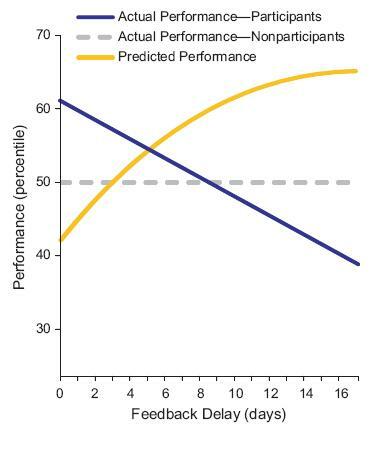 Students who thought they’d receive rapid feedback performed 22 percentile ranks higher than students who thought they wouldn’t receive feedback for several days, and this held true across the full range of scores. At the same time, predicted performance went in exactly the opposite direction. Students who predicted they would perform the best actually performed the worst; students who predicted they’d perform the worst did the best. The graphic below summarizes the results. The reason for these results is that the students who feared disappointment the most (those who thought they’d receive immediate feedback) were more powerfully motivated to do well, while simultaneously reducing their personal expectations of performance to brace themselves for bad news. In other words, motivation to perform well and pessimistic expectations are not mutually exclusive. In fact, they seem to get along famously. For the other students, the farther away facing possible disappointment seemed, the less prepared they were for the test, even though they thought they’d do just fine. The takeaway here seems to me very practical: when you’re about to face a test of performance (in any walk of life) imagine that you’ll receive feedback right away and act accordingly. If this study is correct, the proximity of possible disappointment will keep you sharp and ready to perform. And don’t feel bad if a bit of pessimism slips in to help you brace for impact. Très naturel. Seems to me that grading a presentation would be a very subjective thing to do. 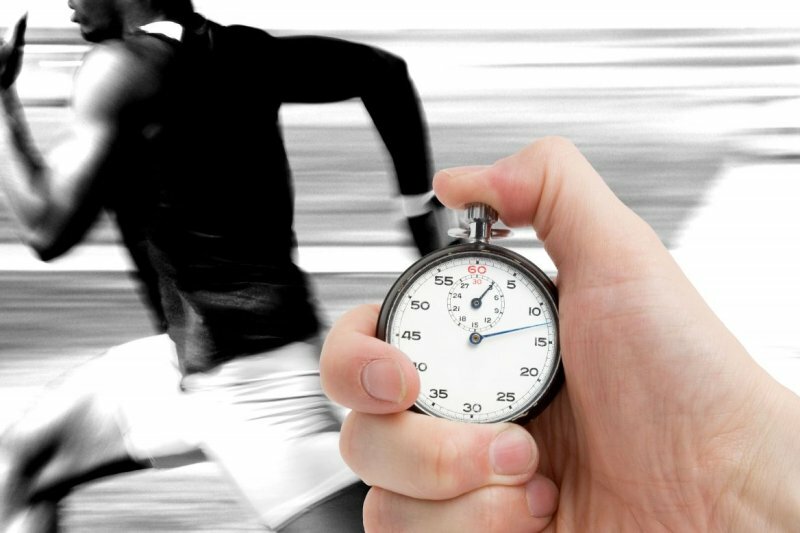 Why not give an objective test to evaluate performance? Also, does this apply to physical performance as well? This is just temporal discounting. These are results predicted by decades’ old theory and experiment. Pingback: Simoleon Sense » Blog Archive » Weekly Roundup: #75 -The Smartest Linkfest On The Web! The current band of Democrats is NOT liberal in the classical sense; they are STATISTS. Unfortunately, too many people are too clueless to recognize the difference, and reflexively pull the lever for the D, no matter what he or she stands for. Вы хотели бы выглядеть эффектно и очистить кожу лица? Мы предлагаем Вам эффективное средство, позволяющее выровнять и очистить кожу лица за 1 раз в удобных для вас условиях.